The Community Foundation of Bloomington and Monroe County is now accepting applications for the Precision Health Network Funding Initiative. Up to $100,000 in grant funds is available for schools to implement substance abuse and curriculum-based prevention programs for students in grades six through eight. Eligible schools for this year’s grant initiative include all public, charter, and accredited private schools in Brown, Daviess, Greene, Lawrence, Martin, Monroe, Morgan, Orange, and Owen Counties. Competitive grants will be awarded in amounts between $5,000 and $20,000. The Precision Health Network Fund is designated to assist with the development or enhancement of community health education and health outcomes in this 9-county region. This year, the Community Foundation Board of Directors selected a focus area for the funding on evidence-based substance abuse prevention programs for middle school age students. This year’s Precision Health Network grant initiative was inspired by the Prevention Matters program, an initiative of the Indianapolis-based Richard M. Fairbanks Foundation. Prevention Matters is projected to help 151 schools in Marion County identify, implement, and sustain proven substance abuse prevention programs. These programs will equip students with skills to avoid drugs and alcohol, while also improving academic achievement, attendance, classroom behavior, and social and emotional well-being. “The Community Foundation is grateful for the leadership of the Richard M. Fairbanks Foundation and appreciative of their willingness to allow others to borrow from and build upon their strategy,” added Peterson. The Community Foundation’s Precision Health Network Initiative grants will be awarded to help fund evidence-based substance abuse programs. 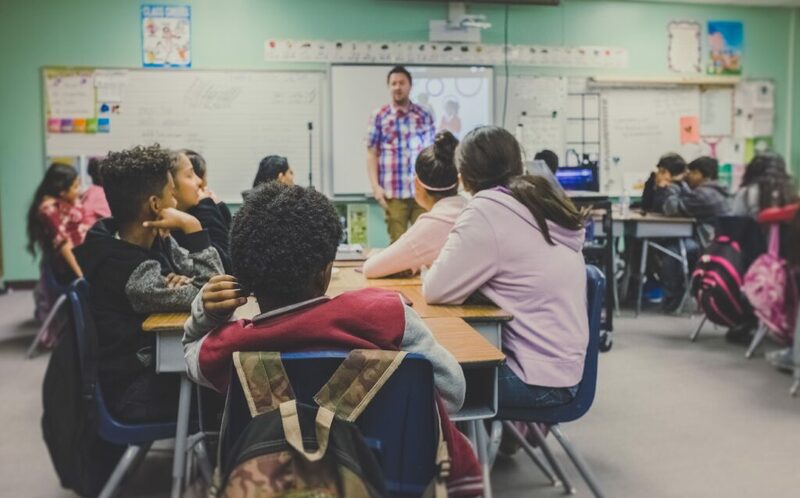 Schools awarded grants may select from eight curriculum-based programs or propose an evidence-based program already in place. Curriculum-based programs include Achievement Mentoring, Curriculum-Based Support Group, LifeSkills Training, Positive Action, Project Alert, Project SUCCESS, Ripple Effects, and Second Step. Schools awarded grants may use the funding towards curriculum, program materials, professional development for teachers and staff, and program training. Up to 5% may be applied toward technical assistance and stipends for substitute teachers. The grant application deadline is Thursday, January 31, 2019. Grants will be awarded in March 2019. For more information on eligibility and application procedures, contact Program Director Marcus Whited at (812) 333-9016 or marcus@cfbmc.org. The Precision Health Network Fund, a field of interest fund at the Community Foundation, was established in 1996 upon the dissolution of Precision Health Network, Inc. The endowed fund provides grant funding designated to assist with the development or enhancement of community health education and health outcomes in the counties that constituted the service area for IU Health-Bloomington Hospital and Bloomington physicians. Since 1998, the Precision Health Funding Initiative has awarded 104 grants totaling more than $405,000. Created by individuals, families, and businesses who share a passion for Monroe County and a vision for its future, the Community Foundation of Bloomington and Monroe County has granted $27 million to more than 400 local nonprofit organizations since its incorporation in 1990. With a growing $33 million endowment, the Foundation makes a difference by connecting caring people, important causes and community resources.